Note: Light shooting and different displays may cause the color of the item in the picture a little different from the real thing. The measurement allowed error is +/-1-3 cm. Many of us don’t like to eat food that is cold and lacks the original taste during our lunchtime. And every office doesn’t have a microwave for us to heat our food. Hence, we need to look for food storage containers that can keep our food warm and retains the freshness and moisture along with the original taste of the food for a long time. This is where the insulated steel food storage containers offer you with the perfect choice that comes at a reasonable price and also keeps your food insulated. 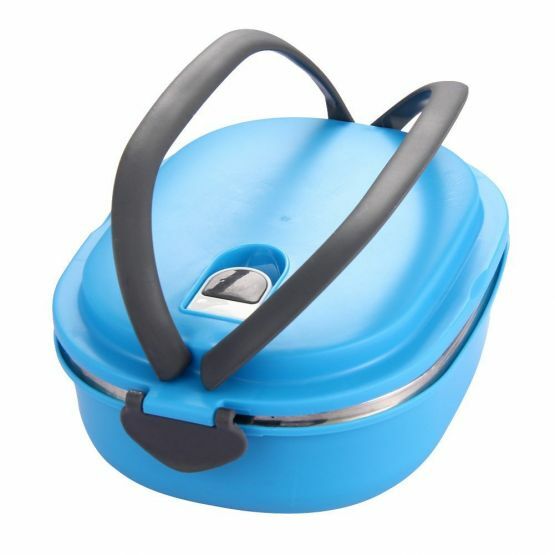 The steel food storage box can store a maximum capacity of 0.9 L of food and comes with easy to carry handles. 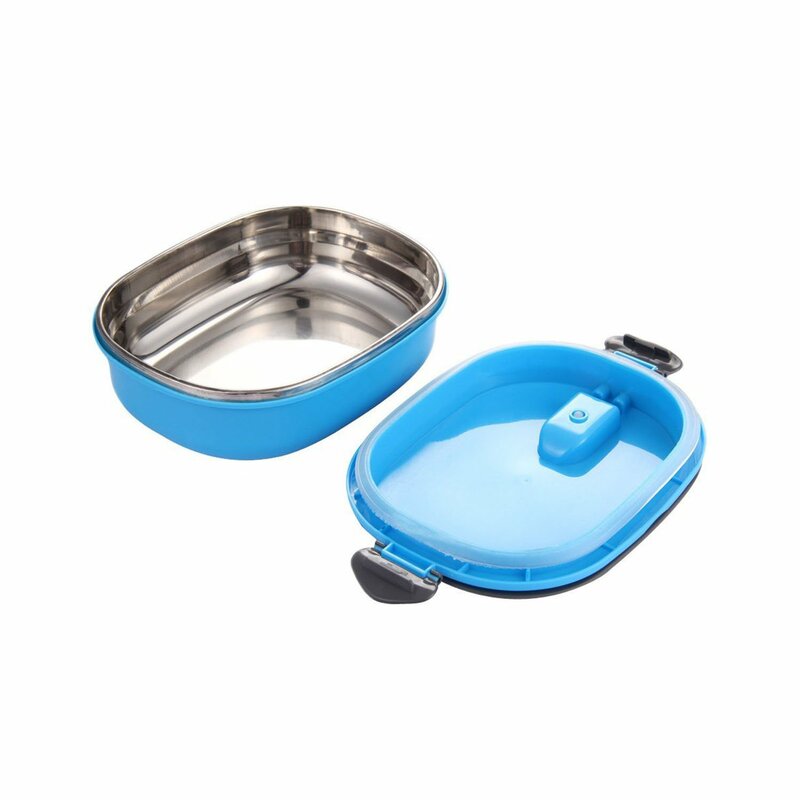 There are two handles provided with the lunch box that allows to easily take the lunch boxes wherever you go. 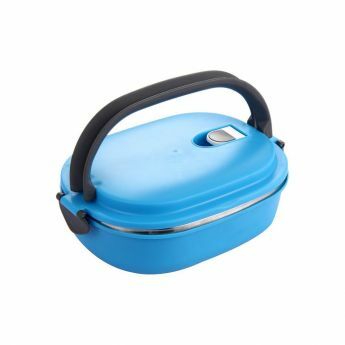 It can keep your food warm for a maximum of 2 hours. 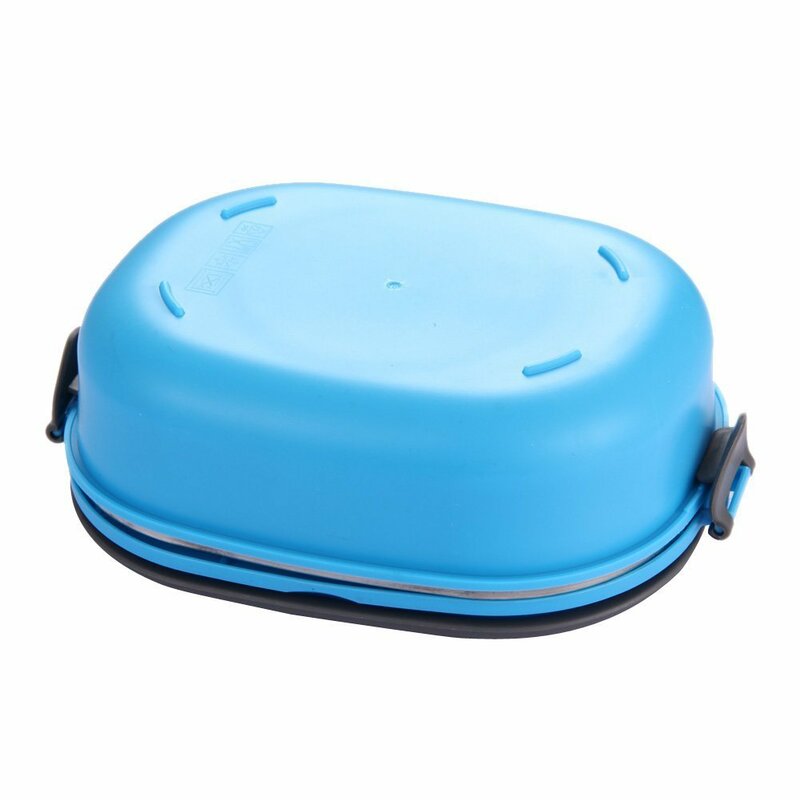 There is also latches provided in the side and also a latch on top of the lid which when pressed will open the lid. 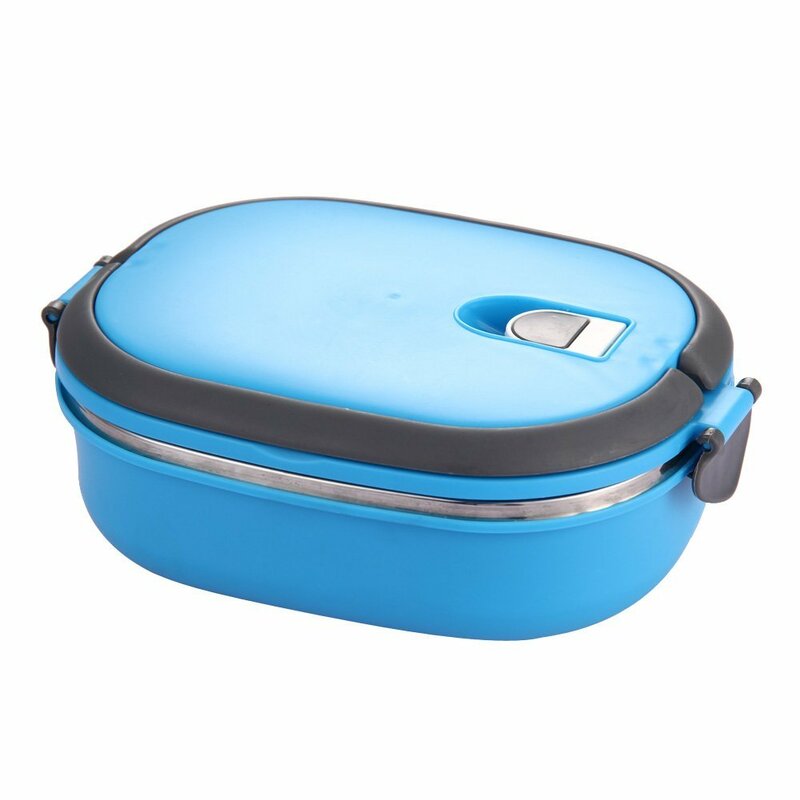 It is a pretty easy method to open the lunch box as you just need to push the button. While the exterior is made using some high-quality food grade plastic materials, the interior is made using top grade metal that can keep your food fresh and crispy for a long time. Since the steel lunch storage boxes are completely dishwasher safe, cleaning the lunch boxes are pretty much simple. These can also be used as storage containers and can be refrigerated as well.